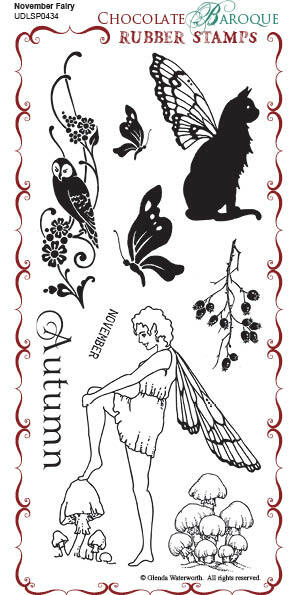 This stamp set includes a fairy, several silhouettes including a cat and an owl and the words 'November' and 'Autumn'. 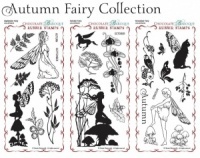 Great for using on many projects and works well with the September Fairy and the October Fairy stamps. 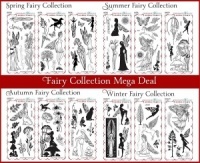 Set contains 9 designs.